How the heck do you even get to the wheel speed sensor? You have to unscrew the sensor from the wheel hub and you have to disconnect it from its electrical connections. If your wheel sensor is not able to be serviced then you have to replace the entire hub. It is as big of a job as it sounds. The Quattro’s wheel hub, bearing assembly, brakes, wheels, and drive axles will likely all need to be removed. Of course, the lower ball joint will have to be removed from either the lower control arm or the steering spindle. The removal of this piece will allow the drive axle to move away from the bearing assembly and the wheel hub. Ok, well, when should I start looking at my wheel speed sensor as something to be replaced? Unfortunately, there is no mileage count or amount of time that is telltale with this particular part. Wheel speed sensors do tend to fail fairly often. It is because they see a lot of abuse from their placement. They are found on the wheel hub which is close to the road and that means that the sensor will or does see a lot of mud, dust, water, and other debris from the road. You also have to factor in things like brake dust which can built up and cause problems for your wheel sensor readings. There is a magnetic sensor and the brake dust can interfere with the readings. Finally, if your traction control system and ABS system lights are illuminated then there is a high possibility that your wheel sensor is faulty. It is still possible that the problem is emanating from another source but it is highly likely your wheel sensor is bad. You said that there could be other problems that could be the source. If that is true then how do you tell what is causing the problems? Honestly, the best way to figure it out is with professional equipment or very specific software provided by the manufacturer of these parts. A technician or a mechanic will start the process of checking for a problem by connecting to your ABS control module with a computer. The data will be used to figure out what is causing the problem and/or how your Audi is acting. If they, the mechanic or technician, finds that you do have wheels speed sensor failure then they will do a physical inspection and further testing to make sure that this really is the problem. 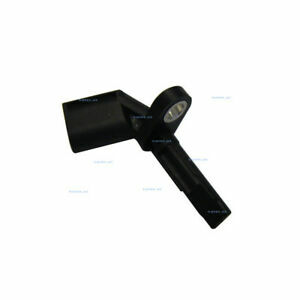 They will also check your sensor for dirt and debris around the tip since this is a common problem. 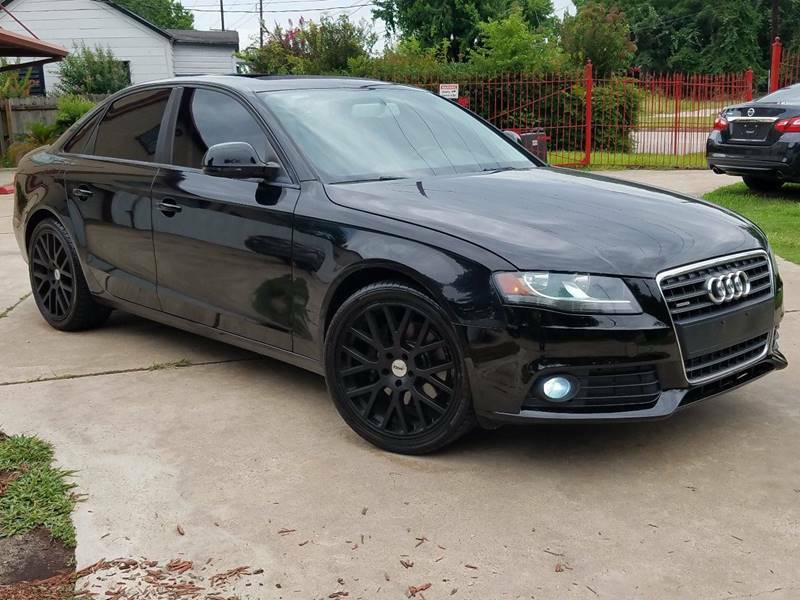 I’m thinking about bringing my Audi A4 into have the OBD codes checked. What codes or code would I see if I have a wheel speed sensor problem? The code you will see is P215C: Output Shaft Speed – Wheel Speed Correlation if you are actually having a problem with your wheel speed sensor. If I have a bad ABS wheel speed sensor then what is going to happen to my Audi? What should I expect? One of the first things that should happen is your ABS and TCS lights should light up. Keep in mind that means that your vehicle is more likely to slip since your traction control system will not be able to assist you. You will have to adjust the way you drive based on how the system is changed because of the loss of the computer’s aide. Some older models may have their speedometer also affected. If that is the case then these vehicles will also see their check engine light illuminated. Wait, we’ve talked about a lot in here but I really need to know one thing. What the heck is an ABS wheel speed sensor anyway? The wheel speed sensor is the main source of data that the ABS system needs to make adjustments. A wheel speed sensor is placed on all the wheels of the Audi A4. The sensors all transit the speeds of all the wheels and reports them back to the ABS control module. The ABS control module makes the modifications necessary to keep your vehicle’s slipping to a minimum. Where are these things located on my Audi Quattro? They are usually mounted in the hub. They are located near the brake calipers in order to monitor the speed of the axle and how fast it is turning.